My students know that the reason for this “systems worldview” of Nature is that the flow of energy from the sun and through every plant and creature is essential for life to exist on our planet. Every plant and animal, including we humans, receives energy from another source, transforms that energy into a useful form, and then makes some of that energy available to other life forms. I suggest to my students that the conservation of Nature by we humans is the identification and the preservation of Nature’s energy flow pathways. I have been critical of those proposed conservation strategies that ignore this systems view of life despite the fact that this view of life was a part of the Eastern worldview some 2000 years ago and a part of modern western scientific thinking for at least 25 years. I have been deeply concerned that many schools and universities do not teach their students how to apply this fundamental system’s view of life. There is a powerful phrase that is beginning to gain an influential headway in the fields of education and science. It is a phrase whose effect is just beginning to flow into the western worldview of humanity. It is a phrase whose effect has been important to eastern thought for centuries. That phrase is “ecological literacy”. A common form of expressing this phrase is “ecoliteracy”. Ecoliteracy is the ability to understand the natural systems that make life on earth possible. Ecoliteracy is the power that comes from the knowledge and consciousness of how nature’s living systems operate. To be ecoliterate means understanding the principles of organization of ecological communities, collaboration, and using these principles for creating sustainable human communities. Ecoliteracy takes place when we humans let Nature become our teacher. 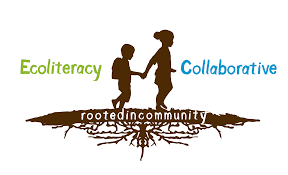 Ecoliteracy takes place when we form a legacy by passing our knowledge and our ecoliterate worldview on to other members of our community. “Today’s threats demand that we hone a new sensibility, the capacity to recognize the hidden web of connections between human activity and nature’s systems, and the subtle complexities of their intersections”. Ecoliteracy has gained enough new attention through its own web site . Ecoliteracy has gained some respectable champions including thought leaders Jeremy Lent and George Monbiot ; the father of modern systems science, Fritjof Capra; environmental educator and author, David Orr; and Richard Louv who is author of Last Child in the Woods and The Nature Principle, and co-founder of the Children & Nature Network. Legacy is the means by which we empower an ecoliterate population of humans – both educators and learners. A very important action word that expresses an essential part of the ecoliteracy process is “legacy”. Legacy means passing on knowledge from one generation or class of people to another. Without legacy, ecoliteracy cannot impact the future of humanity. Indeed, in this current stage of human history, legacy has been broken. Ecoliteracy has not been passed on to new generations, and the human race is consuming the earth’s resources beyond its capacity. By 2050, earth may not be able to sustain the human population. The power to save humanity from itself rests with environmental educators and with our youth of age 25 or younger. 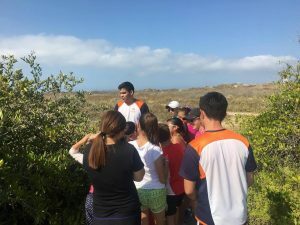 The role of environmental educators is to rebuild a sustainable ecoliteracy within our youth and to maintain an ongoing legacy of that ecoliteracy. Our youth are at ages where the destructive and unsustainable consumptive worldview of the adult population is not yet embedded in their young person’s worldview. Presented properly, our youth are receptive to the awe and wonder of Nature. Life did not take over the planet by combat but by networking. Fritjof Capra goes on to suggest that the concept of “ecological literacy” includes the insight and knowledge needed in order for man to create and uphold sustainable societies. To do so we need study the ecosystems of Nature. We have to understand the underlying principles of natural ecosystems, and to use them as our basis for building our own societies. In his book ‘Earth in Mind. 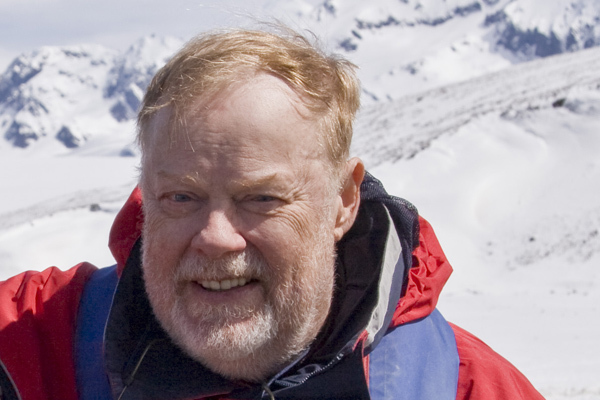 On Education, Environment and the Human Prospect‘, David W. Orr says that the concept of ‘eco-literacy’ must also comprise the ability of comprehensive thinking. Comprehensive thinking is an approach to real life that requires a preparedness to see the whole before its separate parts. Comprehensive thinking asks for coherence and context, emphasizing relations, interactions and cyclicity; and it acknowledges that living entities cannot be reduced to the mere sum of their individual parts. 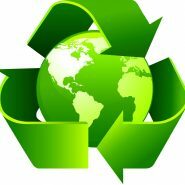 conservation of resources and energy; recycling, reusing, sharing, etc. 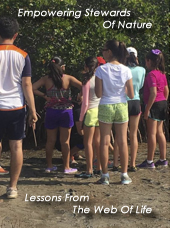 From his book Five Ways To Develop ecoliteracy , Daniel Golgman talks about cautiously applying ecoliteracy to actual ecological issues. He emphasizes the precautionary principle for unintended consequences: When an activity threatens to have a damaging impact on the environment or human health, precautionary actions should be taken regardless of whether a cause-and-effect has been scientifically confirmed. We humans must understand the basic principles of a connected Nature and how to live accordingly. The survival of humanity depends upon our ecological literacy. This means that ecological literacy must become a critical skill for all humans to embrace if we are to remain on Earth.